Why wait for Christmas to decorate your home? 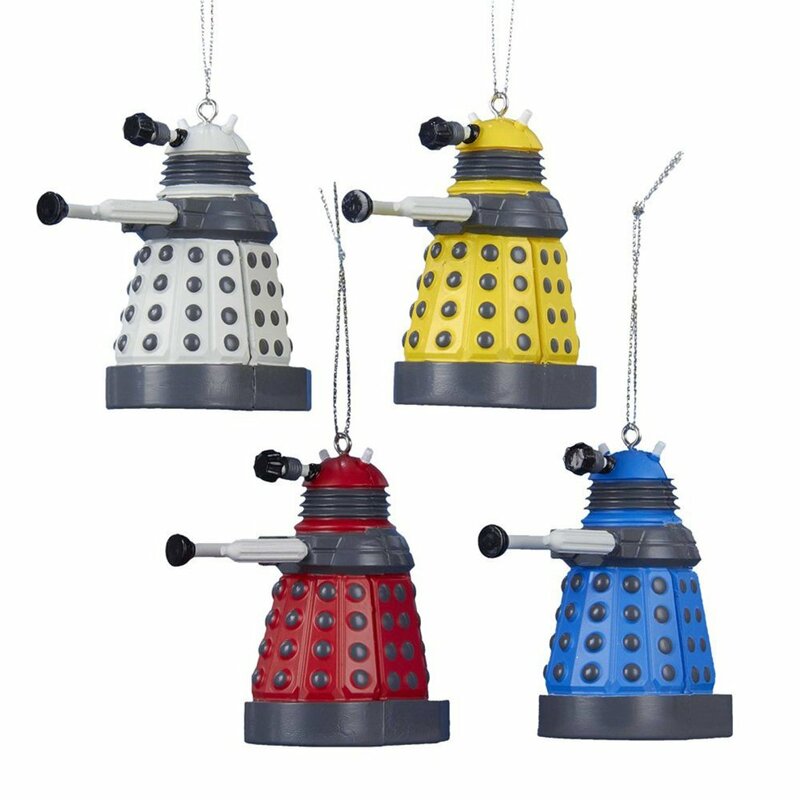 Exterminate the question of what to fill those gaps on your shelves with, and jazz up your home with this great set of four coloured Dalek ornaments. This set of Dalek ornaments is made by Kurt Adler, and is officially-licensed Doctor Who™ merchandise. The set comes sealed in a display box making it a great collectors item, and a perfect present for any Doctor Who fan in your life (even if that's you!). 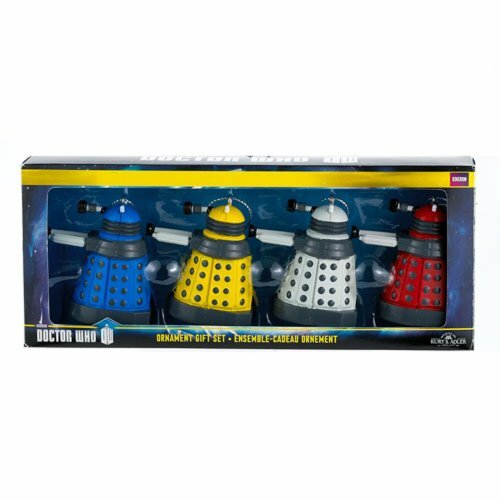 In the set you'll get four different coloured Daleks: red, blue, white, and yellow. Each cyborg mutant stands 2.25 inches tall and comes with a string attached so you can hang them on your tree easily - or display them around your home if you just can't wait until the festive season to show off your love for Doctor Who.